You may have heard or read any number of things about what you should – or should not – do after getting Botox or dermal filler injections. Of course you want to do everything you can to make the most of your treatment. But with so much information and opinion out there, it can be hard to separate facts from fiction. With that in mind, here is a list of commonly-asked post-injection questions and what we recommend here at Rocky Mountain Laser Aesthetics. Do I have to move the muscles the Botox was injected into? No. Here at RMLA, we use a very high concentration of Botox, which means the volume injected is much smaller. That minimizes any potential movement. Can I lay down after Botox? Yes. Some sources will suggest you should remain upright for several hours or elevate your head for the first couple of nights, so the Botox or filler can “settle” and remain in place. The truth is, studies have shown that you can do whatever you want without causing any adverse effects. Can I apply makeup, wash my face, or apply any creams after Botox and fillers? Sure. We often refer to Botox and filler injections as “lunch hour” treatments because there is no downtime. Appointments are very short, and afterward you can reapply your makeup and head back to work. We do recommend that you not over-massage your face for the first hour or two. Using gentle strokes will help keep creams or makeup from penetrating the injection site(s). Can I get a massage or a facial after Botox? As we just noted, it’s best not to massage your face too much right away. So if you’d like to get a facial, too, just schedule that before your injections. And a massage? That sounds wonderful, doesn’t it? We say, “Go for it!” It’s perfectly OK to lay down after Botox or filler injections, and there is no risk that your treatment results will be “scrunched” by the massage table facial ring. Can I exercise after Botox or fillers? Yep. As we said, Botox and fillers are entirely lifestyle-friendly. You can safely do whatever you want. What if there is a bruise?Here at RMLA, we use extremely fine needles to inject Botox and dermal fillers, so our patients rarely experience bruising or bleeding. If that’s going to happen, it will happen right away, in which we use an ice pack to reduce swelling and simple pressure to stop injection site bleeding. What if there is a bump from Botox or fillers? Occasionally, patients may see a visible bump or feel firmness where Botox or the gel filler has been injected. This is not “misplaced” product that needs to be “massaged into place,” it is most likely a deeper bruise that will go away on its own in a few days. When should my wrinkles go away with Botox? Everyone’s face is different, so you have to give the injected product time to balance out. Some patients see visible improvement as early as 3 to 5 days after their treatment, with results reaching their peak after 10 to 14 days for Botox. Dermal fillers can take up to a month to smooth out. We will work with you to create a personalized treatment plan based on your skin condition and desired results, but here at Rocky Mountain Laser Aesthetics we believe that less is more. Botox, in particular, is administered in tiny units for precision, so you get just enough but not too much. We can always add a bit more if you decide later that you want more visible results. How long will the Botox or filler last? Botox and all dermal fillers are temporary treatments. Over time, the product is naturally absorbed by your body. 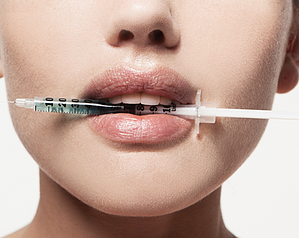 A full dose of Botox lasts 2 to 3 months, whereas fillers last at least a year. Some are rated for two years, and we have seen some patients whose retained positive results for several years. By scheduling refresher treatments, you can maintain your more youthful appearance indefinitely. How long will my face feel numb after the filler? Numbness following a dermal filler injection is not unusual, and it should dissipate in less than a week. Here at RMLA, we add a touch of lidocaine to the filler, which thins it slightly. This reduces post-injection numbness as well as the chance of bruising, and it provides smoother long-term results. As with any procedure – your safety as well as your results depend on the person performing the procedure. Skill that comes from quality training and experience is you first line of defense against potentially negative side-effects or permanent nerve damage. 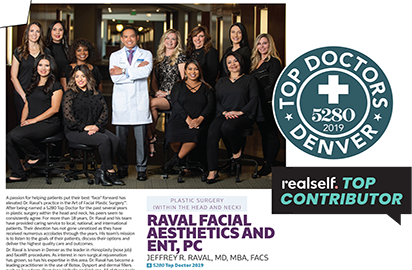 Dr. Jeffrey Raval and our medical aestheticians are well-skilled in the treatments we offer, and our office meets the highest standards when it comes to safety and sanitation as well as comfort.